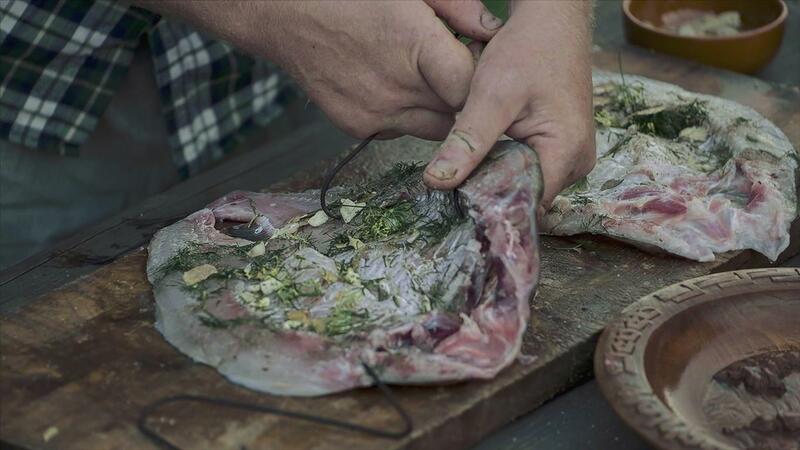 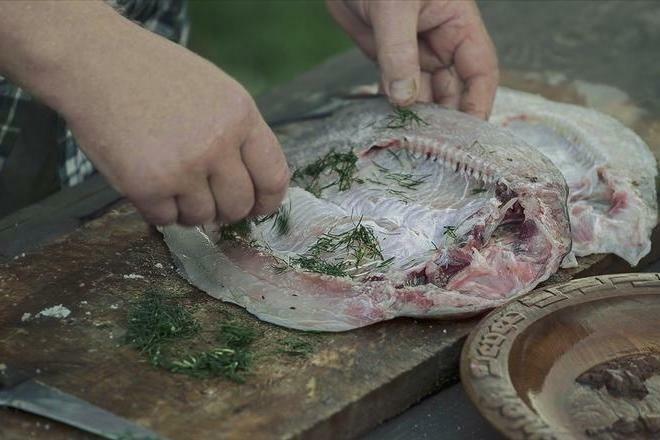 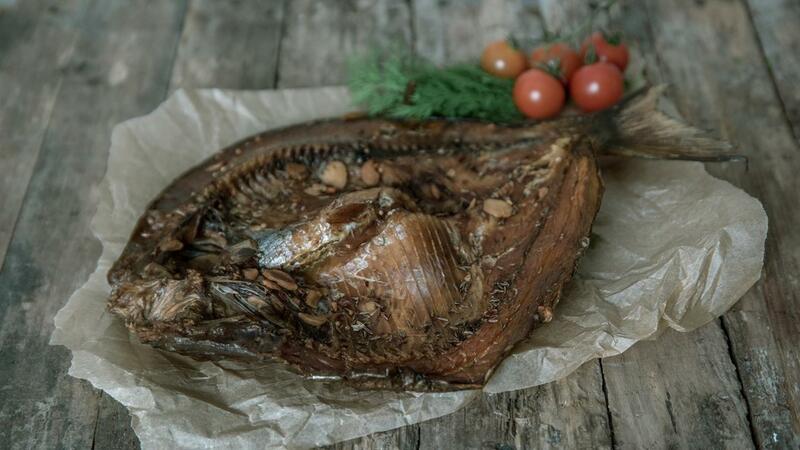 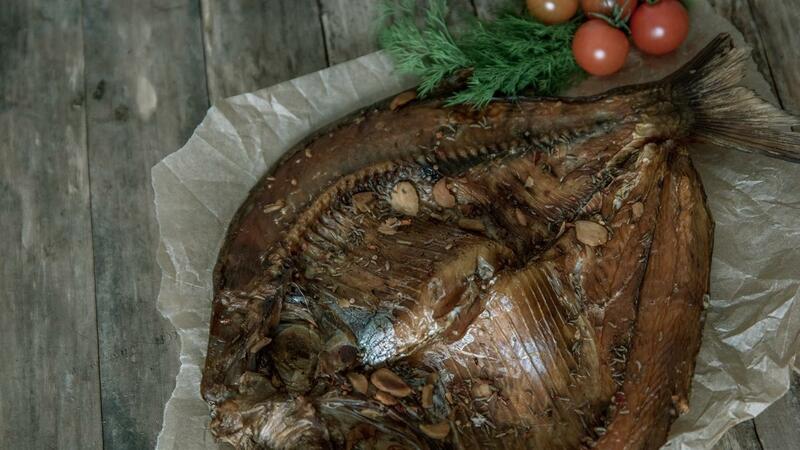 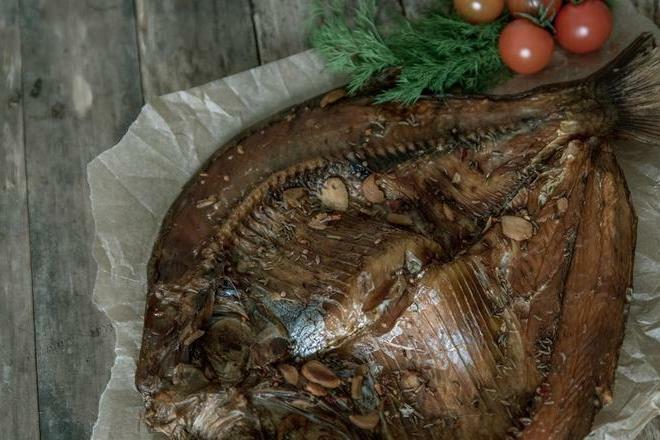 Smoked fish was meant for the festive table, but at the moment the dish has become popular and is eaten quite often. 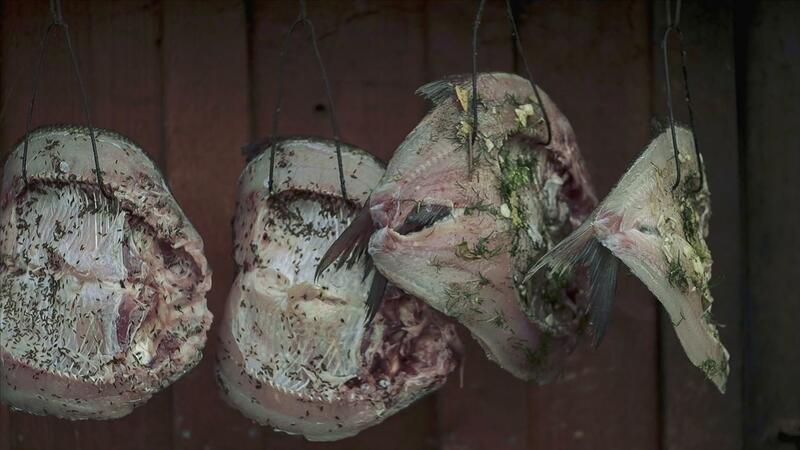 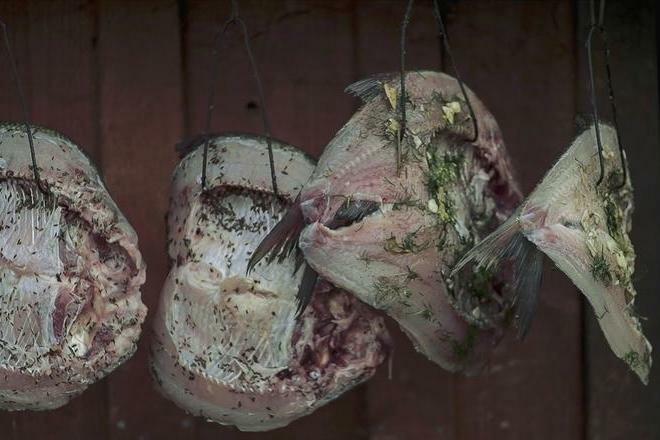 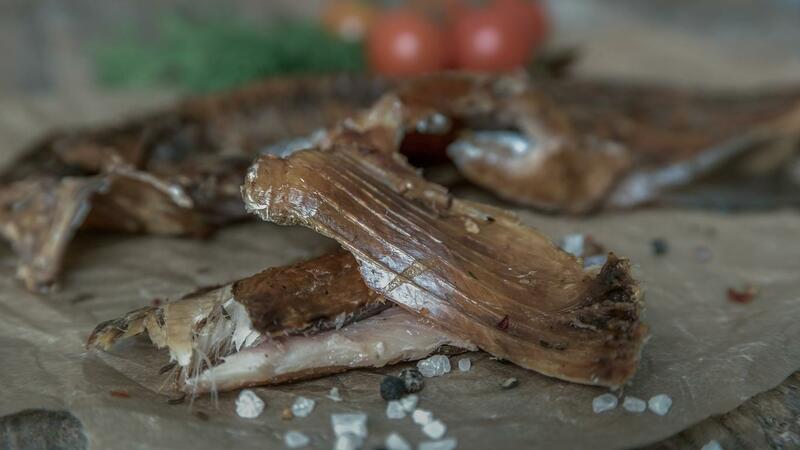 The most delicious smoked fish is freshly caught, rubbed only with salt, garlic and pepper and properly smoked. 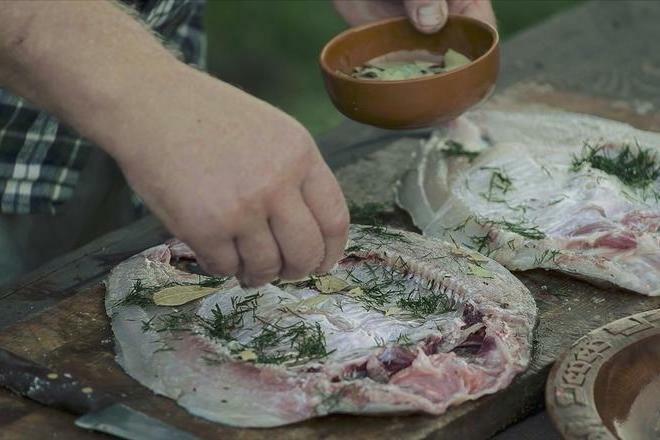 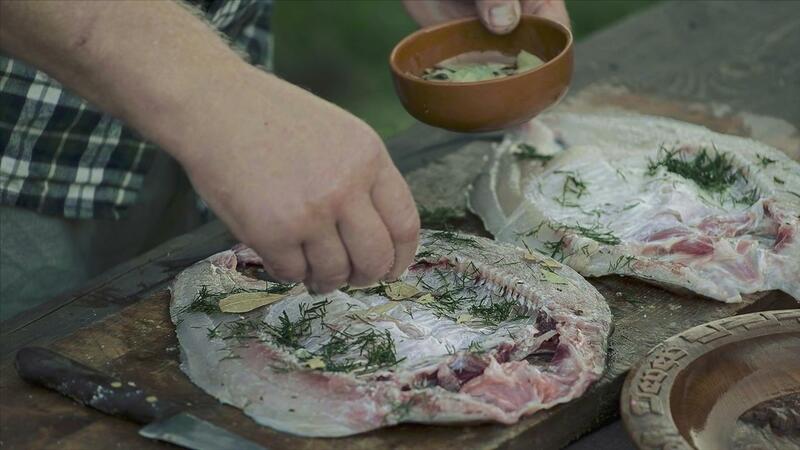 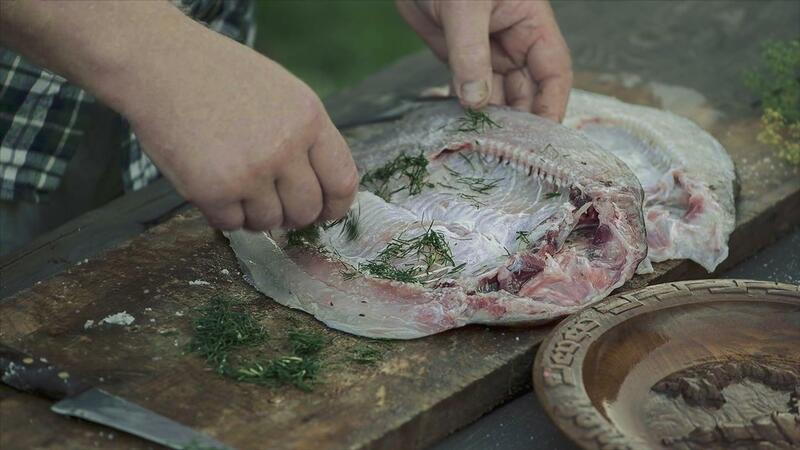 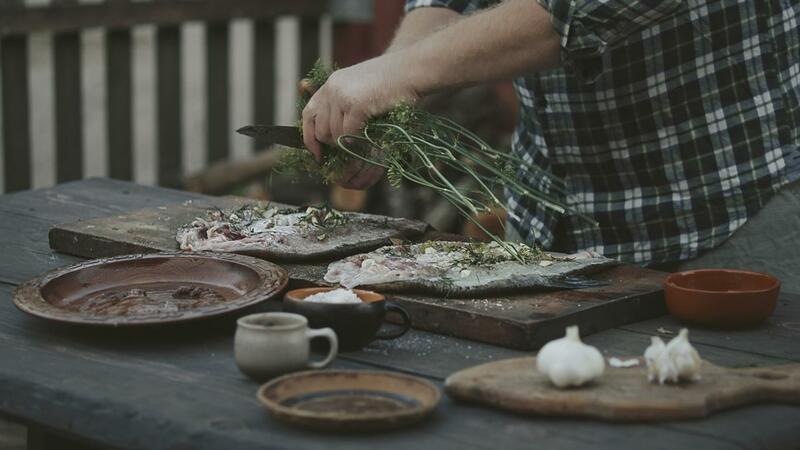 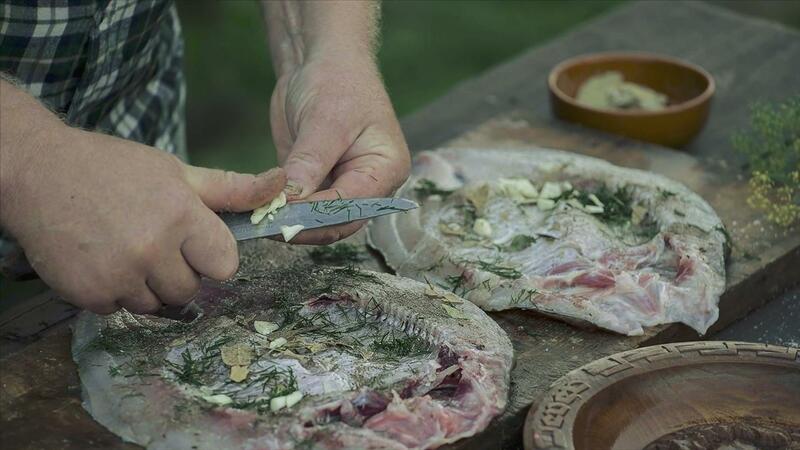 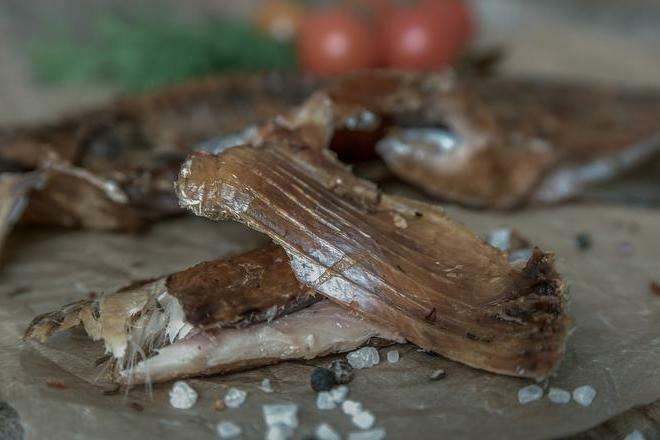 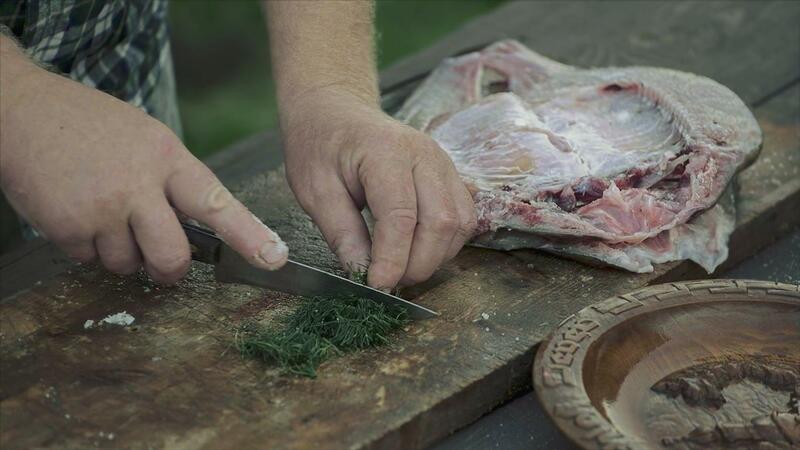 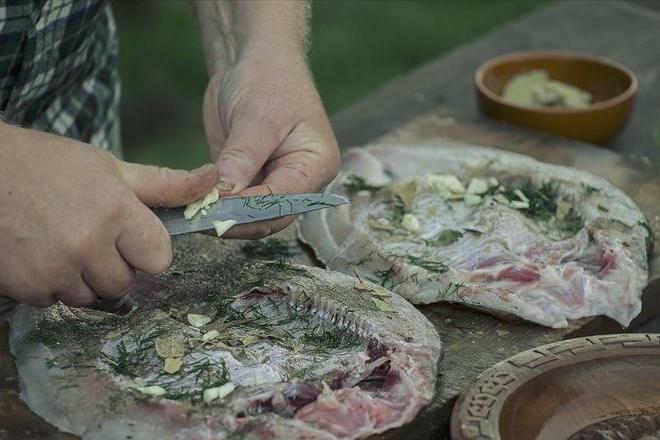 To smoke a delicious fish, it is important to keep in mind that the quality of smoking depends on the properties of smoke, and the latter comes from the burned wood: it is better to burn moist wood than dry. 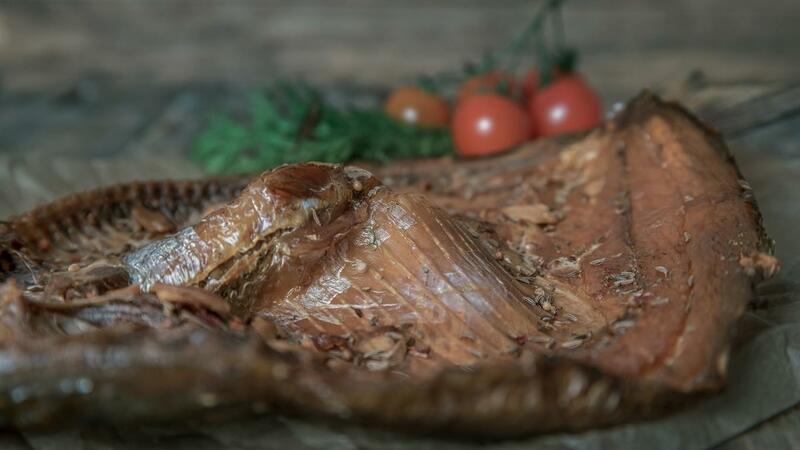 Deciduous tree wood is the most suitable to smoke the fish, but the tastiest fish comes out when pine cones are used for smoking. 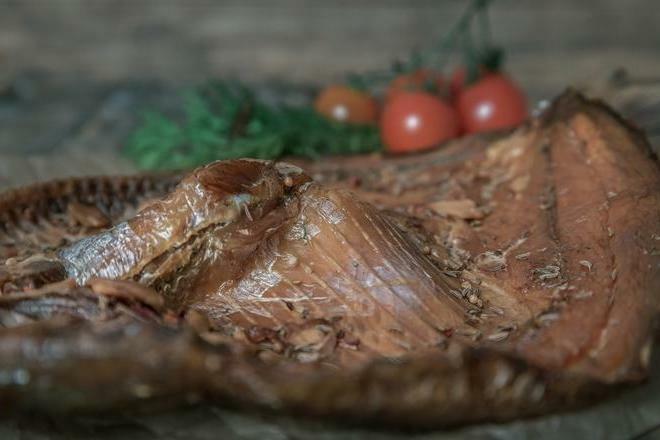 After smoking, the fish gets yellowish or brownish, smells pleasantly, its surface becomes dry and shiny. 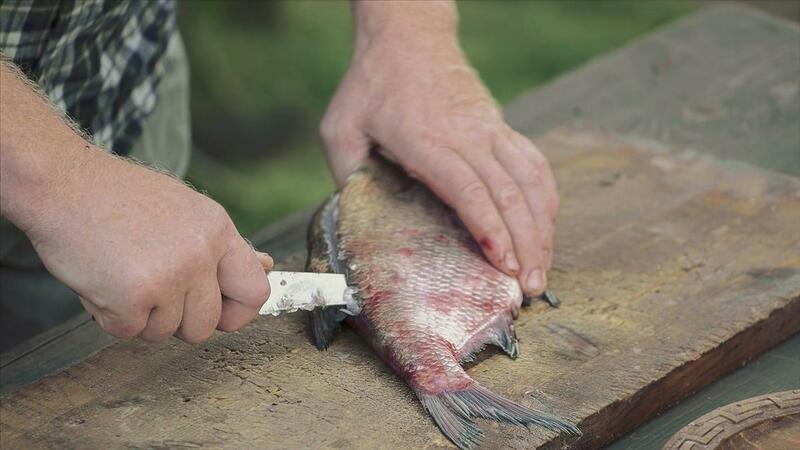 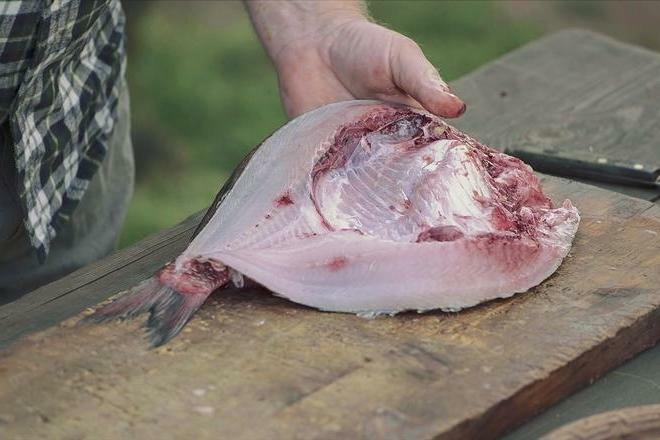 Clean fish from the head to the abdomen, cut out the gills, remove the intestines, rinse with cold water 2 or 3 times and place in a wooden box to drain off. 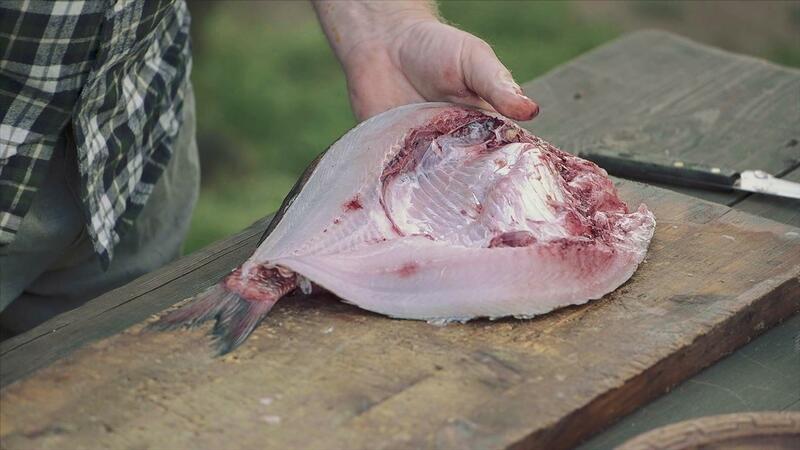 Put the fish in rows spin-down into a salting bowl and sprinkle with salt, salt the inside of the fish, too. 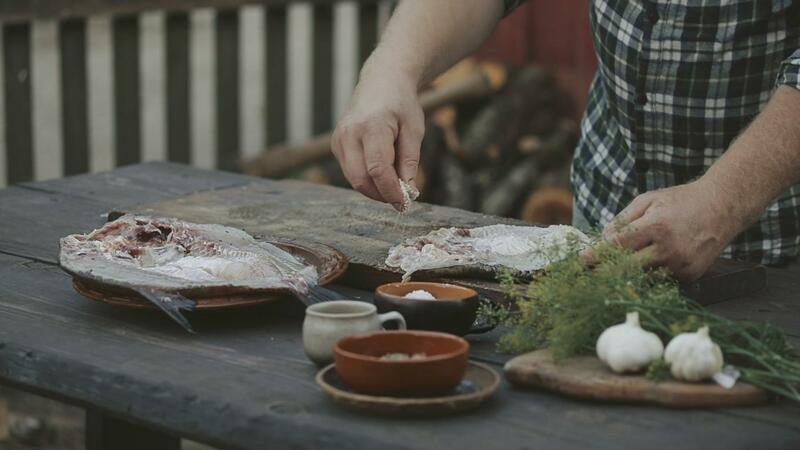 Then let it stay to get salted. 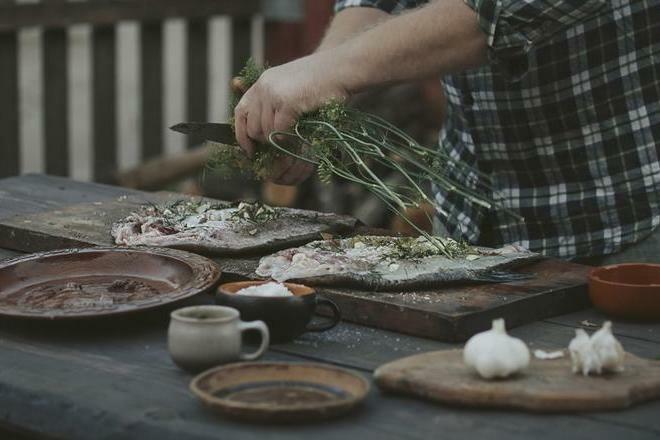 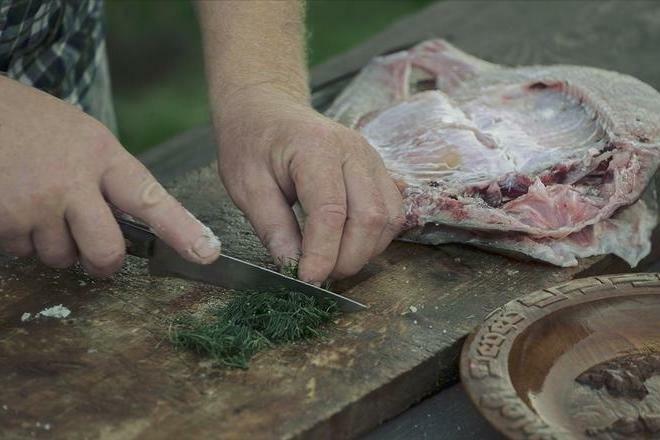 Then rinse with cold water and place on the grill spin-down, open the sides of the abdomen with wooden sticks of alder or black alder, and rub the inside with garlic, dill, bay leaves and black pepper. 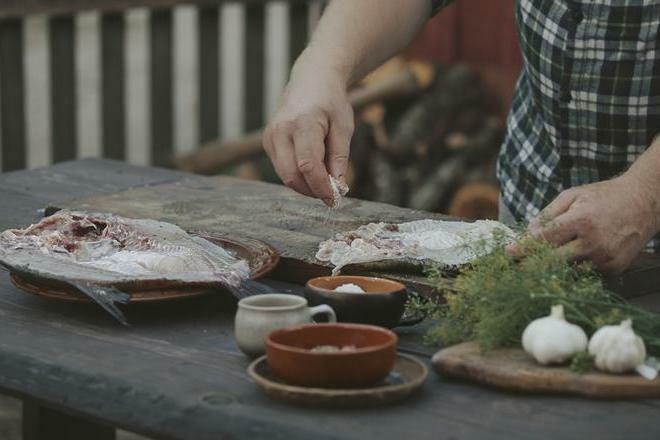 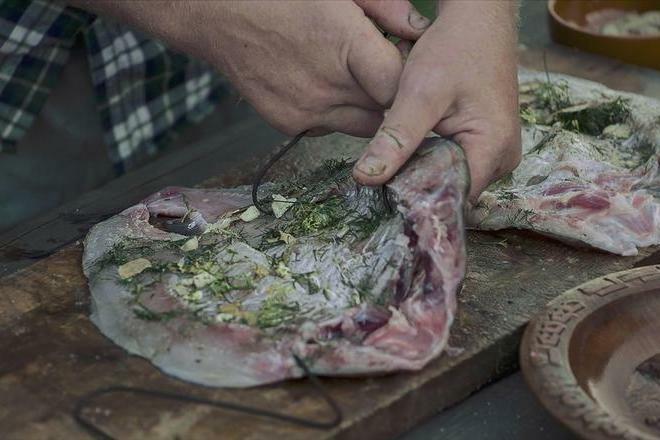 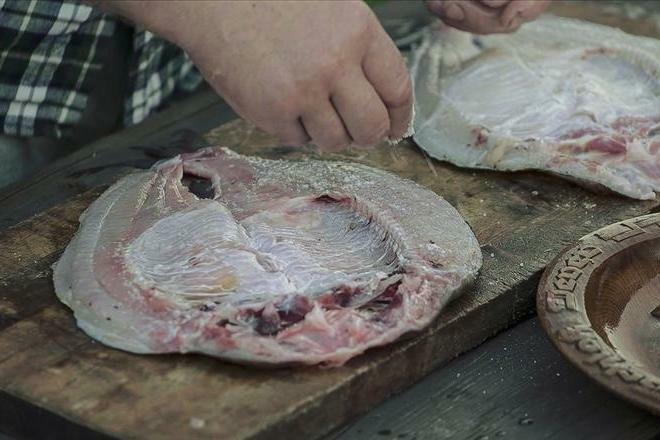 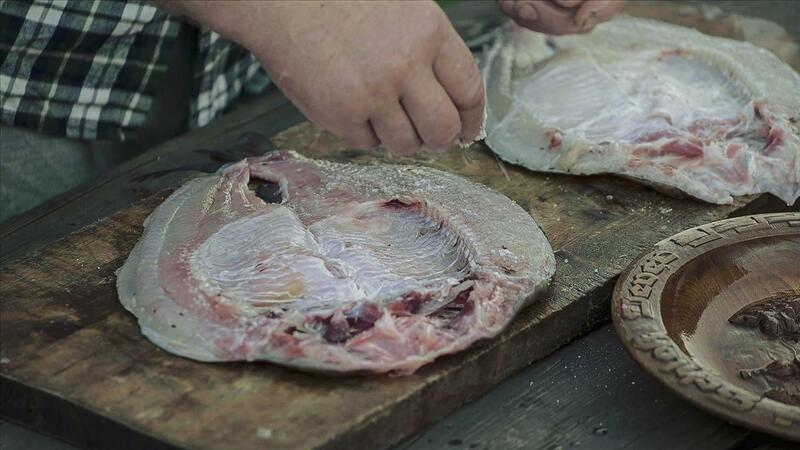 Put the spiced fish into a smoker smoked with alder or black alder, and smoke for 2 to 4 hours. 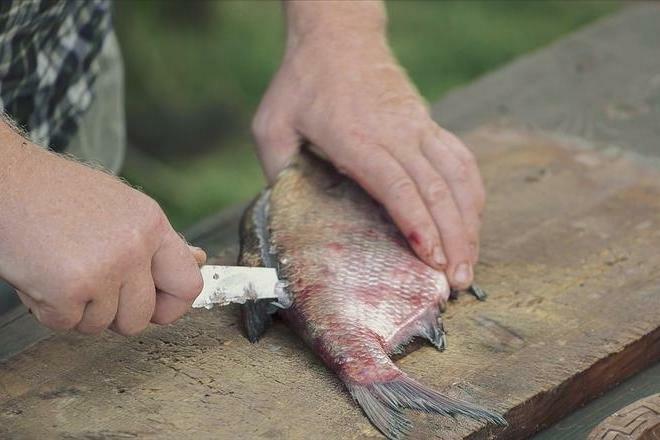 Then remove the fish from the smoker and ventilate for about 30 minutes.